Mercy Convent is home for the retired Sisters of Mercy and their Retreat Ministry. The Sisters have opened their doors to those who come for prayer and reflective gatherings since 1997 and this ministry continues to provide a place of welcome to all who seek God. The Sisters of Mercy walk in the footsteps of Catherine McAuley. Born in Dublin, Ireland, Catherine used her inheritance to begin the first House of Mercy to serve the poor. 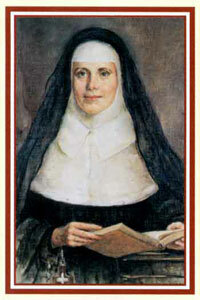 She founded the Sisters of Mercy in 1831, seeking to extend God’s reign though compassion and hospitality. The community spread throughout the world, coming to Pittsburgh, Pennsylvania, in 1843. Today 3,000 Sisters of Mercy of the Americas serve in 12 countries in the Western Hemisphere. They still seek to provide compassion and hospitality.